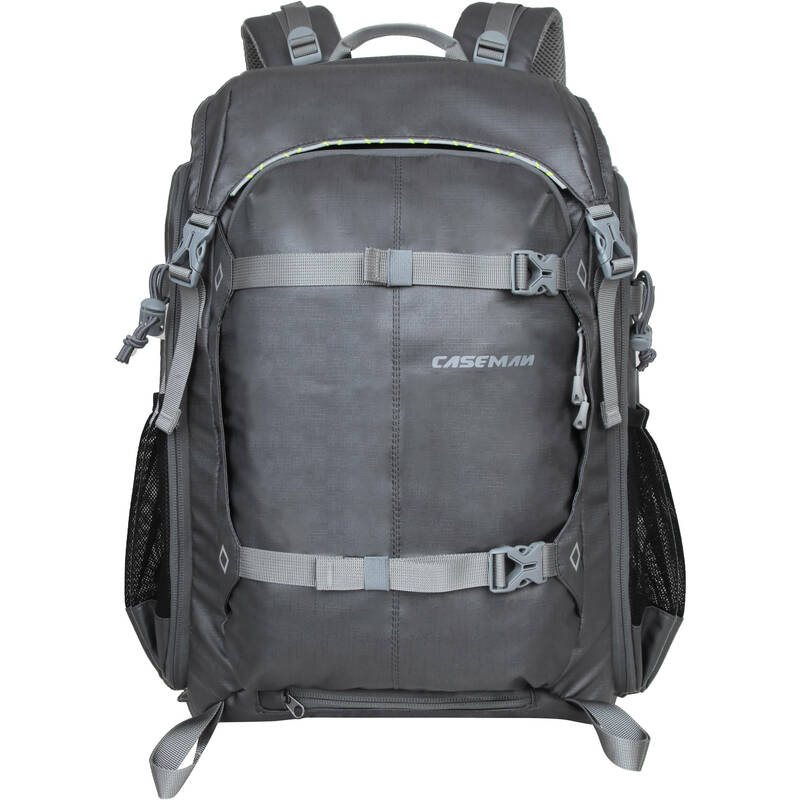 Store, transport and protect a variety of camera gear and personal items with the Mountaineer Series MT 40L Backpack from Caseman. This pack features an insert with room for a DSLR, two lenses, a flash, related accessories and personal gear. Handy tripod straps and a concealed pocket make it possible to carry a small tripod on the top, side, or front of the pack. Carry your MT 40L Backpack with the top handle, or wear it with the padded shoulder straps, chest connector, and padded waist belt. The pack is constructed from durable, 420D nylon. A rain cover is included. Box Dimensions (LxWxH) 21.0 x 15.0 x 13.0"
Mountaineer Series MT 40L Backpack is rated 4.0 out of 5 by 1. Rated 4 out of 5 by Stephanie from Well made, but no front access to camera Since there are no interior photos on B&H website, I was forced to order the backpack in order to see how the access to the camera section worked. Be warned, the only way to access the camera storage area is to remove the backpack from your shoulders, and open the back. I have attached photos to show you more detail before purchasing the pack. The top flap does not allow access to the camera compartment, it simply allows you to attach an item like a jacket using the two straps, and then cover it with the flap. The zipper to the camera compartment actually runs underneath the shoulder straps, so you have to push them to the side to access the compartment. Also pictured is the Mountaineer MT45L for comparison. Both backpacks are well-constructed, and would be very comfortable for hiking. Also, BOTH the MT40L and the MT45L have a special section for a Camelbak water bladder insert (this is not clear in the description of the MT40L). The rainshield stores in a pocket at the bottom of the backpacks. Unforunately, the design of these backpacks is not what I was looking for. I already have a backpack with rear access to the camera compartment, and in order to remove my camera or a lense with everything dumping out, I need to lay the backpack on a flat surface, which is not convenient when hiking or in a crowd. I wanted front access, so both backpacks are being returned.